Located in Folcroft, Pa. just minutes from the Philadelphia Airport and downtown Philadelphia, the Bullen facility is broken into two segments. 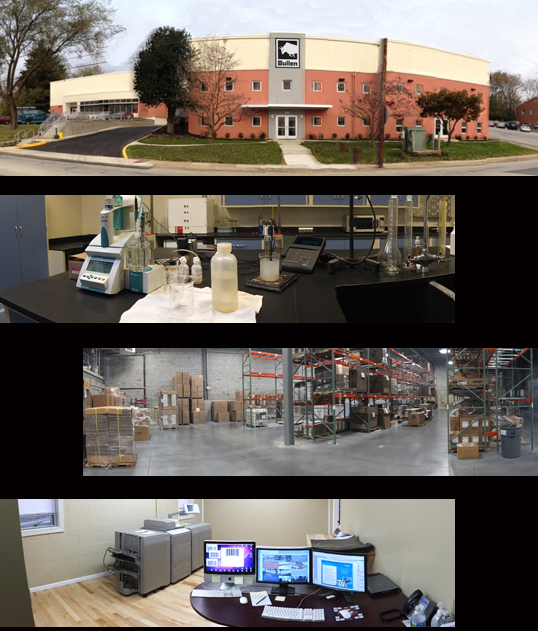 Our manufacturing, office and training facility is located at 1640 Delmar Drive and our distribution center is one block away. With a combined space of over 125,000 square feet Bullen is prepared to grow with your business. We have property to add over 100,000 additional square feet of manufacturing and finished goods storage.